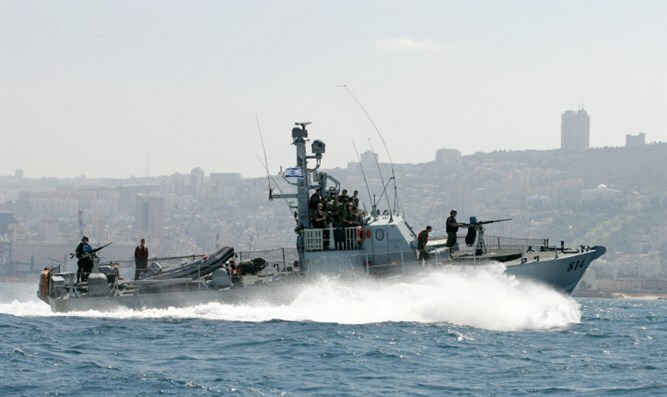 IDF, Shabak, foil elaborate Islamic Jihad terror attack against Israeli Navy. Shabak (Israel Security Agency) and the IDF on Wednesday cleared for publication that 10 Gazan Arabs were arrested in March for planning a terror attack on an IDF ship. The arrests occurred on March 12, and were carried out by Shabak and the Israeli Navy. All of those arrested were suspected of gathering intelligence and planning a terror attack. The suspects were in a watercraft that had traveled beyond the permitted fishing area, gathering intelligence on IDF forces. Squadron 916, which deals with ongoing security in Israel's southern waters, as well as another special Navy unit, confiscated the craft. A joint Shabak-Israel Police investigation showed that one of those arrested, Amin Saadi Mohammed Jamaah, 24, is a fisherman and resident of Rafah, active in the Islamic Jihad terror group. Islamic Jihad leaders took part in planning the attack, using several boats. Shabak's interrogation of Jamaah showed that one of the boats was to be used to distract the Navy, while a second attacked the Israeli ship by firing a Kornet missile at it with the purpose of injuring and killing the soldiers on the ship. At that point, the third Gazan ship would move towards the Navy ship, with the intention of kidnapping the soldiers on it and taking them hostage. The interrogation also showed that Jamaah observed several of the IDF ships, collecting information regarding their placement, the number of soldiers on board, and the weapons each ship carried.On Wednesday, the Southern District Prosecutor's office will submit an indictment against Jamaah. Israel's security forces responded, "Once again, we have proven that the terror organizations attempt to abuse the ease on restrictions Israel gives civilians - this time fishermen - in order to advance terror attacks in a way that harms the population in Gaza. Israel's security forces on the sea, on the land, and in the air, will continue working to foil terror attacks."